Drea here, inviting you to check out Bo Bunny's You're Invited I Want It All Bundle at FotoBella! 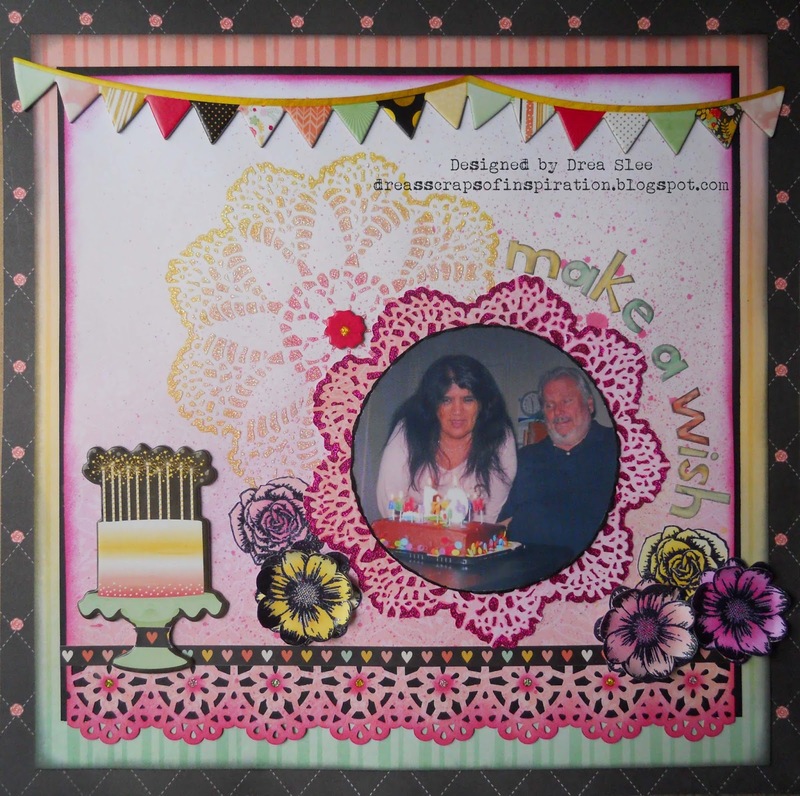 Here's a layout that I scrapped of my parents in Las Vegas, celebrating my mom's birthday. 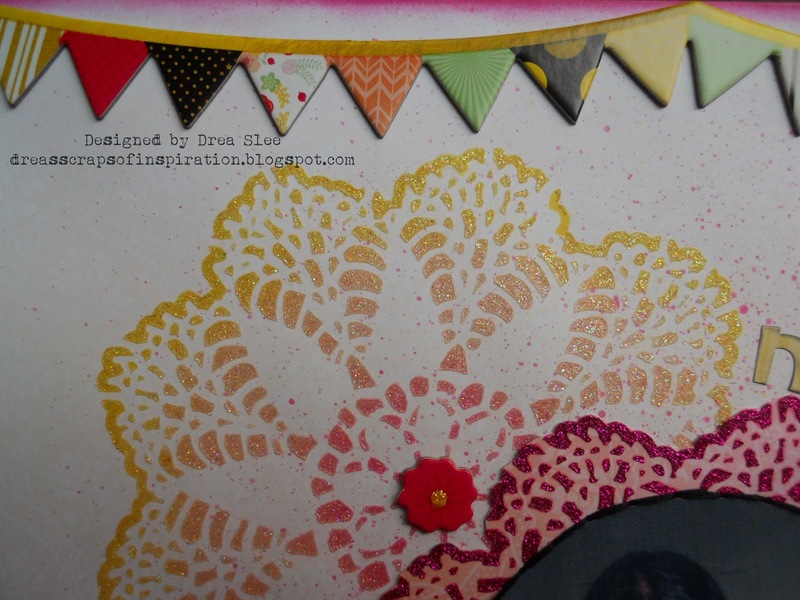 I layered some of the papers from the 12 X 12 Collection Pack, masking the Prima Lace Doily Stencil with Distress Inks (Picked Raspberry, Spun Sugar, and Squeezed Lemonade). 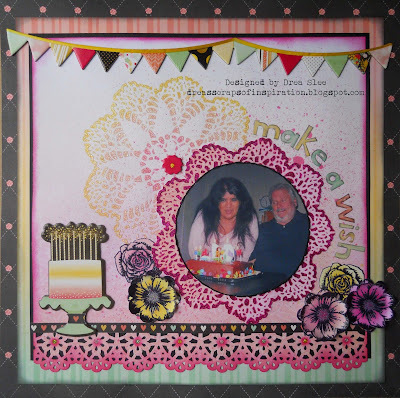 Then I went over it again with Bo Bunny's Sugar Glitter Paste, adding the pink Chipboard flower to the center with a dot of Yellow Stickles. I used another sheet of the same pink (You're Invited) paper to mask the other doily with Bo Bunny's Pink Punch Glitter Paste, adding my circle photo, and hand-stitching around it with black embroidery thread. 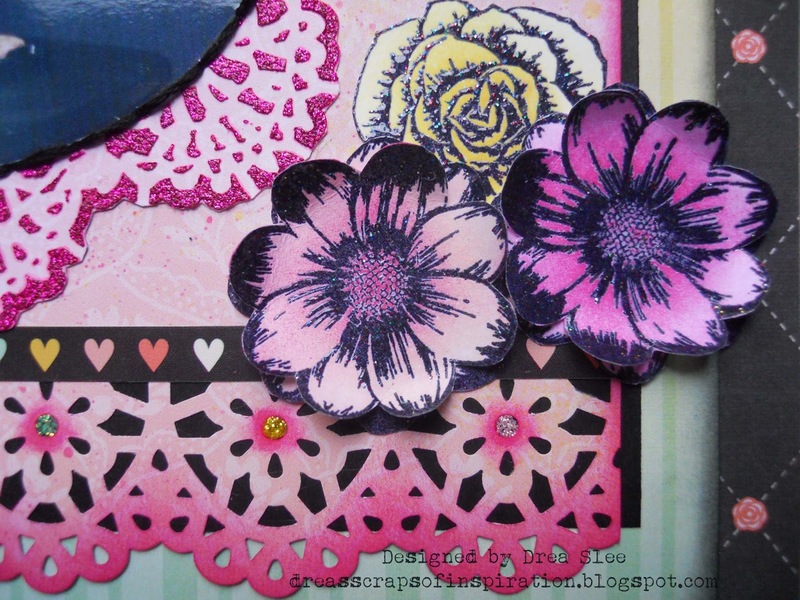 I punched the bottom edge and used Picked Raspberry Distress Ink around the edges and in the centers of the flowers, before backing it with black cardstock. To the punched flower centers I added some dots of Stickles (Yellow, Cotton Candy, and Eucalyptus). Right above the punching I added the sticker strip of hearts, which I also put on the chipboard cake. 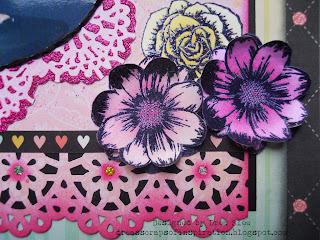 All of the flowers were stamped with Bo Bunny's Floral Stamp, using black ink embossed with Ranger's Rainbow Sparkle embossing powder, and colored with Distress Inks.